All the content of this website is for educational purpose only, the data owner self-made. The website solely respects the laws and copyrights products of the websites. If you reach or find a page which is violating rule or copyright then you can contact us and inform site's owner. We will strictly take action which we will find appropriate. NCERT Books present on our websites are totally for educational purpose not our copyrights. These books are legally copyrighted product of National Council of Educational Research and Training. We are only providing a medium that ensures its reach to mass students easily. 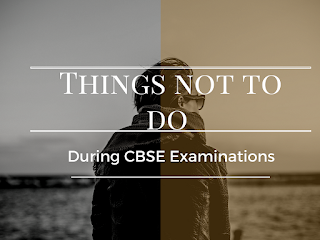 We're not affiliated by CBSE Board or any other Board in anyway. At last, we want to convey that site is purely made for education purpose and we keep every measure to avoid possibility of offensive material. However, we cannot guarantee that site is totally free form these kinds. If anyone find a content which is injuring you rights then also you can provide us clue on our contact us page and we will make changes as soon as possible. The views, opinions and positions expressed within these guest posts are those of the author alone and do not represent those of www.padheye.com. The accuracy, completeness and validity of any statements made within this article are not guaranteed. We accept no liability for any errors, omissions or representations. The copyright of this content belongs to the author and any liability with regards to infringement of intellectual property rights remains with them. We have acquired the information contained in this website from the sources believed to be reliable. However, www.padheye.com or its authors or the editors don't take any responsibility for the absolute accuracy of the information published and the damages suffered due to the use of this information.